Greetings from San Fernando Valley! The Val. The “normies” live here, you know. With no edge in sight and none of its history of display, people on the other side of the Hollywood sign just don’t appreciate the pink-clad urbanization of what used to be a thriving rural community. Strip malls and apartment buildings now stand where once there were fields; this is the birthplace of BMXing. Sidewalk surfing, you know?! It makes sense. And, so, a descriptive lingo, as the girls started getting heavy exposure to the convergence of the car culture and the BMX sport, was born with words like “bitching” and “totally tubular” being used. Hit hard with the New Wave vibe of the early 1980s, leave it to Moon Unit Zappa to produce a satirical single "Valley Girl" to completely exploit the scene. 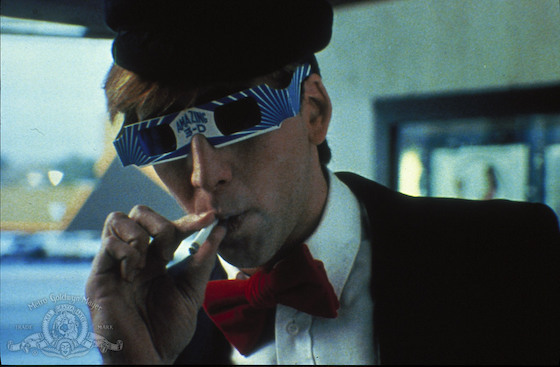 "From Josie Cotton to The Plimsouls, Valley Girl IS THE quintessential soundtrack album. The pop songs included here are OFF THE HOOK." And the valley people – lost in their own world of aqua and pink – absolutely loved it. For sure. While Van Nuys Boulevard still loves its parade of vintage cars and trucks, nothing much has changed since Martha Coolidge shot the romantic comedy Valley Girl there. Well, the Du-pan’s Family Restaurant featured in the movie is now a Sephora, but not much else has changed. Which is good. The Valley – no matter how hard the rest of Los Angeles tries to kick it in the balls – has a history which ought to be celebrated; Sherman Oaks Mall and all. And that rich history includes the teen comedy that Shout! 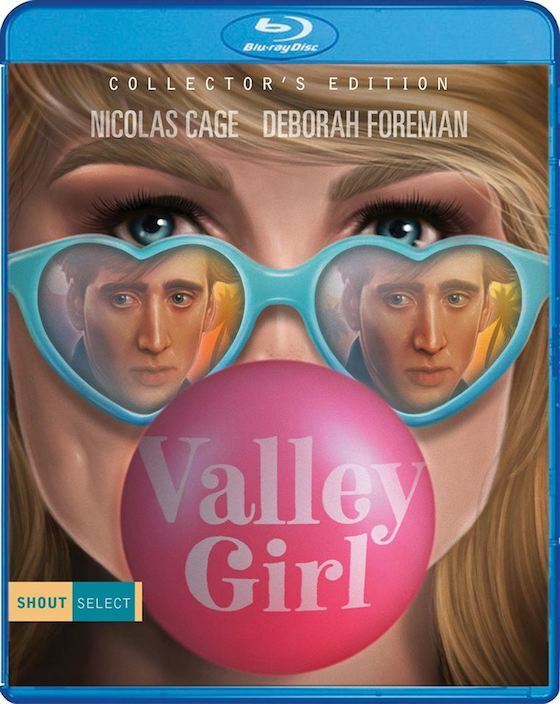 Select has seen fit to master from a 4K scan of the original negative, Valley Girl. To my knowledge, this film, written by Wayne Crawford and Andrew Lane, is the first movie to show that even Valley Girls have hearts. Funny as hell, this sensitive portrayal of teens AND adults (I mean, when you have Colleen Camp, Frederic Forrest, and Lee Purcell as parents, you know there’s going to be cool characters) still works wonders as it earmarks a time and a place that, with cool new wave songs and styles, doesn’t seem out of step at all. 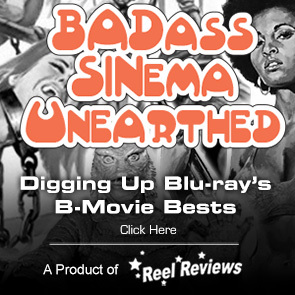 To be clear, this movie, hailing from the capitol of the Vals, is a legit rock and roll flick. There’s just no other way to interpret this romantic comedy; the music, the fashion, the adlibbing, and the dialogue deliver the same message. Everything here, including the acting, is perfect. It is precise and specific and, due to the limited amount of time in the shoot, comprised of a lot of first takes. Guerilla filmmaking at its finest. Things are made up on the spot and, as it is an updated version of Romeo and Juliet, this movie – proclaiming that it is okay to be completely unique – speaks volumes. The shopping malls! That’s where we open as we follow a group of girls charging up their parents’ credit cards. The girls are cute and fun and bop in and out of stores like pros. That’s the introduction to the characters in the movie. Soon, thanks to an off the wall party, the main chick, Julie Richman (Deborah Foreman), breaks up with her narcissistic boyfriend, Tommy (Michael Bowen). At a party, no less! Cue Modern English’s “I Melt With You” as Randy (Nicolas Cage), who charms his way into her non-edgy life, enters the picture. Suddenly, Julie is experiencing the band scene of Hollywood and ignoring her homegrown friends, Loryn (Elizabeth Daily), Stacey (Heidi Holicke), and Suzi (Michelle Meyrin). The tension is palpable as Julie must decide what to do when it comes to the balance between her friends and who she loves. Should she go back to her old boyfriend or what?! Well, Julie, let the music be your guide. 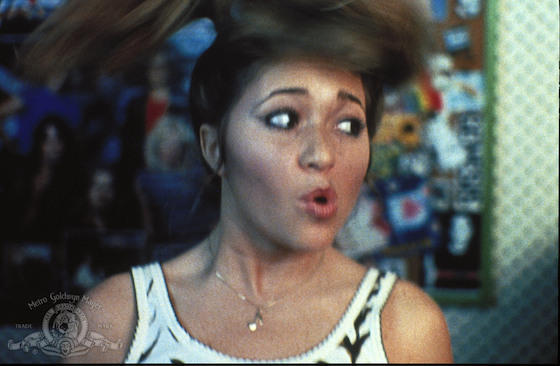 From Josie Cotton to The Plimsouls, Valley Girl IS THE quintessential soundtrack album. The pop songs included here are OFF THE HOOK. And to think that it was this film that introduced so many people to the new wave movement in sound and in vision. The fashion! Oh my Gawd! Totally. Like totally tubular! Valley Girl is alive and well thanks to Shout! Select, who give it the attention it so richly deserves. Tagline: She's cool. He's hot. She's from the Valley. He's not. Memorable Movie Quote: "Bitchin'! Is this in 3-D?" Synopsis: When Julie (Foreman, April Fool's Day, My Chauffeur) dumps her preppy boyfriend, the last thing she expects is to find love with the rockin' Randy (Cage). The future's open wide for Julie ... but when her disapproving friends (E.G. Daily, Heidi Holicker, Michelle Meyrink) find Randy to be grody to the max, she is caught up in a culture clash between her Valley lifestyle and her Hollywood punk. Freshly minted from a new 4K scrub, Valley Girl has a new coat of paint that it needs to show off. The crisp details in the transfer are lovely, providing the Hollywood nightlife of the early 1980’s with a bit more grit than it used to have. Colors are warm and bright and black levels are well-defined. Everything bursts with a swagger here. With an aspect ratio of 1.85:1 and Dolby Digital Stereo track, the film is treated nicely by Shout Select’s efforts. Nicely saturated, there are no dents in its shiny armor. Colors are strong throughout and are particularly memorable with their inclusion of details and strong edges. Black levels are clearly defined, too. Martha Coolidge presents a feature length director’s commentary. • Presented with all the original music, this release has everything you could want from a Valley Girl. • NEW Extended Interviews From 2003 With Nicolas Cage, Cameron Dye, Frederic Forrest, E.G. Daily, Heidi Holicker, Colleen Camp, Lee Purcell, Producers Andrew Lane And Wayne Crawford, Peter Case Of The Plimsouls, Josie Cotton, DJ Richard Blade, And More!